An exciting new life chapter began for Frank and Nancy Semmerling when they bought Maxson’s Riverboat and Riverside Restaurant in Oregon, Ill. Before owning the restaurant, the couple had made many happy memories gazing out at the Rock River while enjoying a delicious meal there. Open your e-magazine now to learn more about the Maxon’s Riverboat. 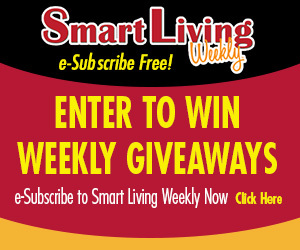 Congratulations to Cindy Kubkowski of Roscoe, this week’s Smart Living Weekly giveaway winner! Cindy takes home 4 Tickets to the Forest City Queen or Trolley Car 36, in Rockford. Next week’s giveaway is 4 Tickets to the Forest City Queen or Trolley Car 36, in Rockford. Enter now by visiting northwestquarterly.com/contest. This entry was posted on Wednesday, August 30th, 2017 at 5:00 am	and is filed under News & Events, Smart Living Weekly. You can follow any responses to this entry through the RSS 2.0 feed. Both comments and pings are currently closed.